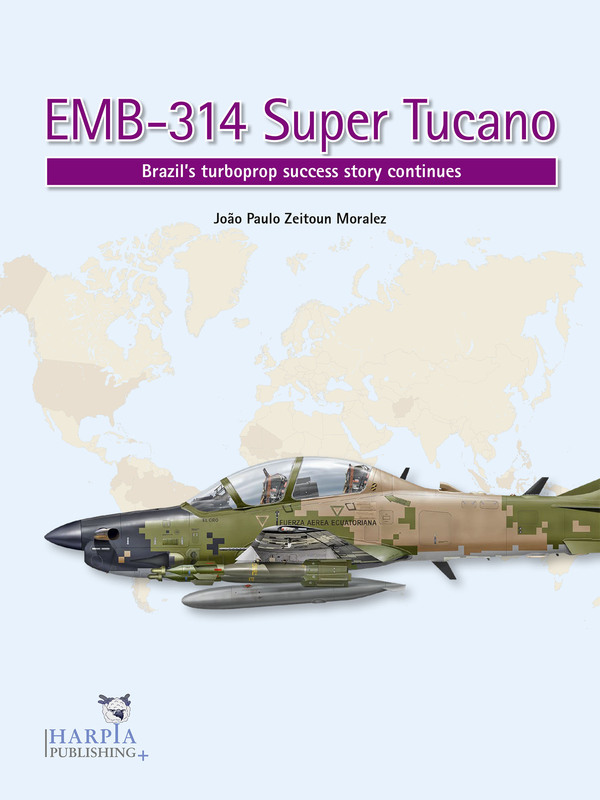 Once again, João Paulo Zeitoun Moralez, an excellent Brazilian journalist and good friend, presents us with another superb research work, this time about the renowned EMB-314 “Super Tucano” aircraft. 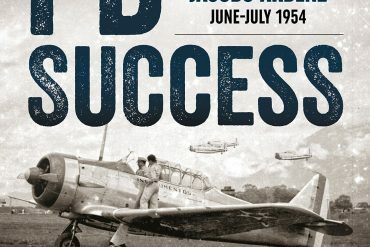 In fact, this book is the continuation of the very successful title “EMB-312 Tucano – Brazil’s Turboprop Success Story”, which we also reviewed here at LAAHS. Since the Super Tucano is relatively new and still is writing its own history, this book has much less pages than the previous one. 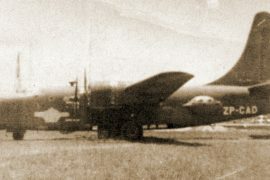 However, Zeitoun Moralez has gone to great extents in order to document the design and development of this versatile aircraft, as well as its service with the Brazilian Air Force and its slow but firm adoption by foreign air arms around the world, including Chile, Colombia, Ecuador and the Dominican Republic. 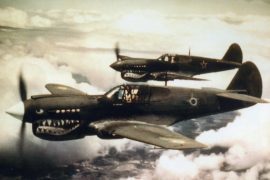 There are two sections of special interest for Latin American aero-historians: The first details the creation of the “Amazon Surveillance System” or “Sistema de Vigilância da Amazônia” in Portuguese, also known as SIVAM, and the role that the Brazilian Air Force and the Super Tucano play in it. The other, is about the combat operations of the A-29 with the Colombian Air Force against the FARC guerrillas. In addition, the book also includes chapters that detail its limited use by the United States Air Force and Navy, and “private” contractors like Blackwater Aviation, Tactical Air Support Inc. and Sierra Nevada Corporation. Last but not least, the book takes a brief look at the participation of the EMB-314 in the AO-X trials that are being carried out by the USAF, which aims at the selection of a new attack / observation platform that could -eventually- replace the A-10 and the F-16 in close air support roles. Unfortunately, and in contrast with the previous volume, this book doesn’t have any tables listing the individual story of each Super Tucano produced to date, which in itself would be very hard to put together since the aircraft still is in production. 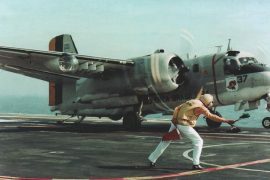 Another aspect that was left out is the controversy surrounding the acquisition of the type by the Dominican Air Force, and the ill-fated acquisition of six aircraft by the Guatemalan government, which had all the earmarks of a corruption case. But don’t get us wrong! With 96 pages in U.S. letter size (11 X 8.3 inches), rich in technical detail, with more than 50 great photos and 20-plus excellent color profiles, this book has Harpia Publishing’s quality trademarks written all over it and will make a great addition to any aviation enthusiast’s or scale modeler’s bookshelf. To purchase your copy, you must visit Harpia Publishing website and order it directly from them, or visit Casemate Publishers’ website if you are in the U.S., Canada or Latin America. The book is also available from Amazon.